Our board-certified plastic surgeon—Dr. David Durst—sees many patients who would like to have a lip augmentation procedure. You may be considering a lip augmentation because you were born with thin, weak appearing or uneven lips; you may be considering a lip augmentation because as you have aged, your lips have become thin and you notice fine wrinkles around your lips; if you have any of these problems, then a lip augmentation could be a good solution for you. If you think that lip augmentation might be for you, please call the office to schedule an appointment. When Dr. Durst examines you to consider your lip augmentation procedure, he will outline which techniques are available for your specific request and the pluses and minuses of each. Several different techniques are utilized. 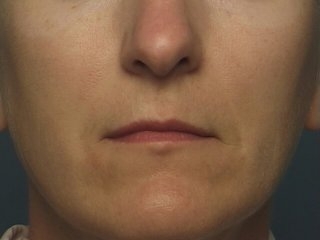 The most common procedure is to use an injectable to create the appearance of larger lips. Primarily, Dr. Durst uses an hyaluronic acid filler for this such as JUVÉDERM® or Restylane®. Lip augmentation done using fillers is an office procedure done with local anesthesia and takes about an hour. You will look great the next day and will be able to resume full activities at that time. Other techniques used for lip augmentation include the use of fat injections, which require a surgical procedure, or the insertion of an AlloDerm implant. Both of these procedures can result in a more long lasting result. These procedures are done as an outpatient procedure with a short recovery. If you choose to use fillers as your lip augmentation procedure, you can expect to go back to work the next day. If you choose to use fat injections or an AlloDerm implant, you should expect to return to work two to three days after the procedure. Recovery is quick and Dr. Durst will advise you generally to utilize a soft diet and an ice pack for a day or so. With fillers the recovery period may only be a few hours. If you would like to see representative results of lip augmentation, please visit our lip augmentation before-and-after photo gallery. We would be happy to discuss lip augmentation with you or schedule an appointment. Please call the office for information.